Crews on Thursday were finally able to extract the truck a Des Plaines couple was in when it was swept away by floodwaters in southwestern Indiana last weekend. Still, there was no sign of 31-year-old Cathryn McGill. Thursday was the fifth day of the search for the missing woman. 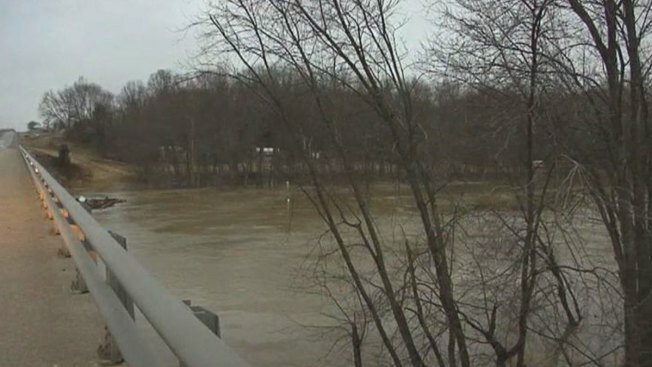 Indiana Conservation Officer Joe Haywood said crews used heavy machinery Thursday to move piles of corn stalks left by the receding floodwaters of the White River. Police dogs were also used in the search, he said. McGill was riding in a pickup truck Sunday driven by her 35-year-old husband when floodwaters swept their truck away. Adam McGill was rescued and treated at a local hospital for hypothermia. Haywood said crews will return Friday for a sixth day of searches for McGill. The couple was heading to Norfolk, Va., where Adam McGill is stationed with the Navy.